Stata 12 has just been announced. The software will start shipping by the end of July. 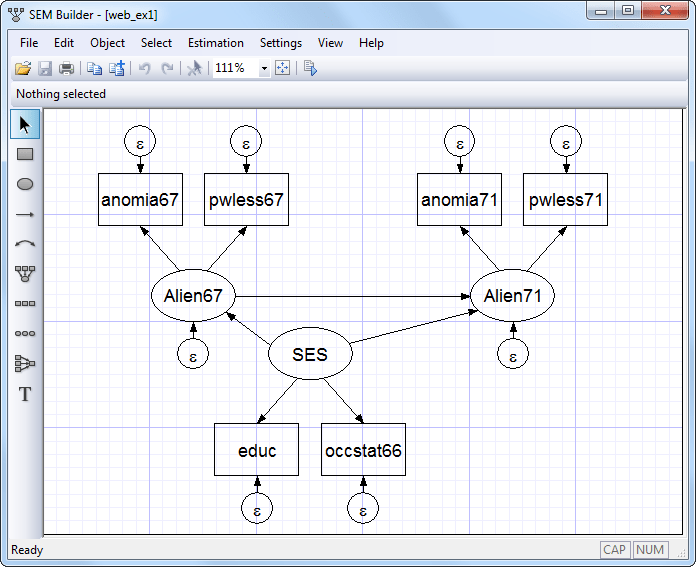 A key new feature introduced in the new version is the module for structural equation models (SEM), a staple tool in marketing, psychology, and several other research disciplines. LISREL and AMOS have been the two most commonly used software to estimate SEM. Professor John Fox authored an R package, sem, which allows R users to estimate the basic SEM. Professor Fox used Wheaton, Muthén, Alwin, and Summers’s (1977) panel data to illustrate estimation of SEM. Stata 12 also illustrates SEM using the same data set. Professor Fox has made several web-based tutorials forecasting SEM in R, which can be accessed by clicking here.